For a truly one-of-a-kind invitation look no further! This clear-frosted ice invitation features an �etched� lattice pattern and clear oval to let your personal information really standout. 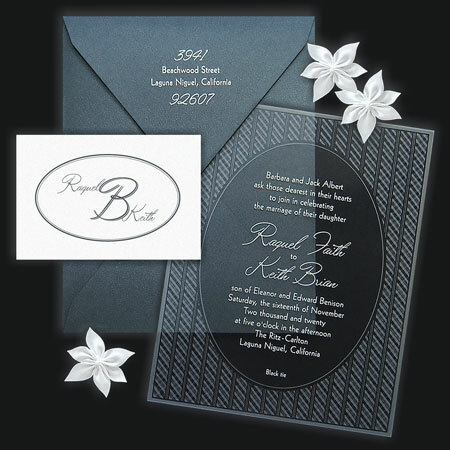 This unique invitation is coordinated with a handmade double-sided anthracite envelope. A designer monogram is shown on our exclusive arctic stardust informal.